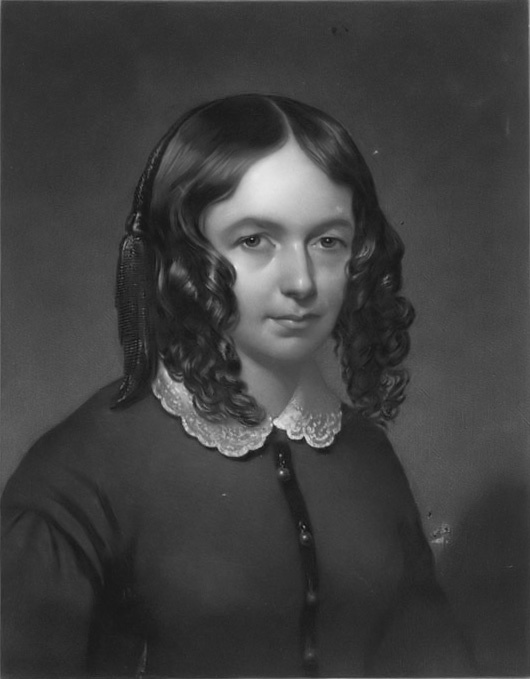 Elizabeth Barrett Browning (1806-1861) was already a famous writer when she met, then married, Robert Browning. When she was born - in County Durham, England - her parents named her Elizabeth Barrett Moulton-Barrett. She was the oldest of twelve children and was very close to her family members. An extraordinarily intelligent child, Elizabeth studied Greek when she was ten years old. By the time she was fifteen, her poems were published in The New Monthly Magazine. Joy about her published works, however, must have been matched with sorrow over an illness which she developed at about the same age. Despite her frail health, she continued to write for the rest of her life. Barrett met Robert Browning in 1845. A great admirer of her poetry, he'd sent her letters before they first met. They married - on September 12, 1846 - then traveled to Italy. Their hope was that warmer weather would help Elizabeth to feel better. 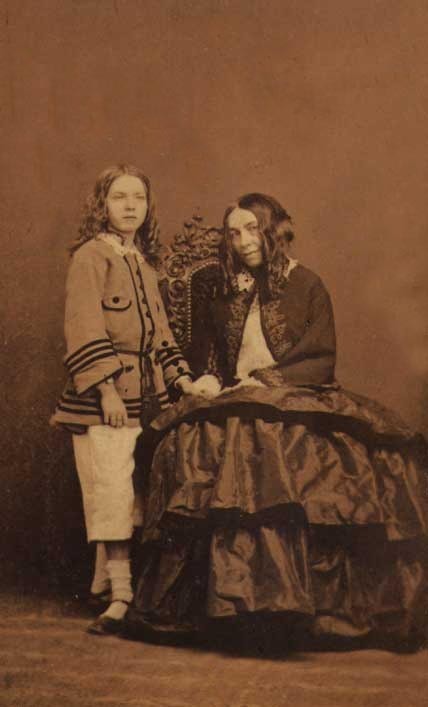 In 1849, the couple had a son whom they named Robert Wiedemann Barrett Browning. His nickname was "Pen." Elizabeth's health continued to be an issue for her, despite the better weather in Italy. She died - at the age of 55 - on the 29th of June, 1861. She is buried in Florence. In this audio clip, Carole Bos (creator of Awesome Stories) reads the sonnet. Think about these topics as you hear the words. ISSUES AND QUESTIONS TO PONDER: To whom is the poet speaking? Do her words equally apply to children, close friends, a spouse? What three-dimensional terms does she use to express her love? Why does she use such words? EBB also uses the basic needs, of living life, to describe her love. What words does she choose for that? Why does she liken love to life's basic needs? The poet is not obligated to love the person(s) to whom she is speaking. What words does she use to express that fact? Loving - for the sake of love itself - is important to Elizabeth Barrett Browning. Which words express that concept? Her love doesn't change whether she's happy or sad. How does she express that? It sounds like the poet had faith when she was a child, then lost it. Do you think - from the way she ends the poem - that she found it again? "How Do I Love Thee," by Elizabeth Barrett Browning, read by Carole Bos (creator of Awesome Stories). Bos, Carole "How Do I Love Thee? - Elizabeth Barrett Browning - Audio" AwesomeStories.com. Oct 07, 2013. Apr 23, 2019.